Antiques need historical preservation to maintain their integrity, while newer pieces of furniture need general maintenance to keep them functional and attractive. It is important to evaluate each piece of furniture to determine the best possible restoration process. We’ve been working with private collectors, antique dealers, interior designers and decorators since 1985. We can help you to preserve your furniture investment for future generations. We’ve been creating luxury furniture and selling antiques for over 25 year so we are very familiar with the traditions of fine furniture craftsmanship, construction and finishing. We are very comfortable working with antiques and restoring your family heirlooms to their original beauty; dining room suites, bedroom suites, antique chairs, occasional tables, dressers, armoires, desks, antique frames and fireplace mantels. Make your old furniture new again. Refresh the style of outdated furniture with a new coat of paint or a different finish. Old furniture can be re-stained or re-painted to update the look and suit your new decorating style. If you have a vision, we can help you make it a decorating reality. Old world craftsmanship gives your furniture the respect it deserves and means our work is executed with precision and authenticity. Add many more years of beauty to your much loved furniture by restoring discoloration, watermarks, scratches and surface gouges that accumulate over time and everyday use. 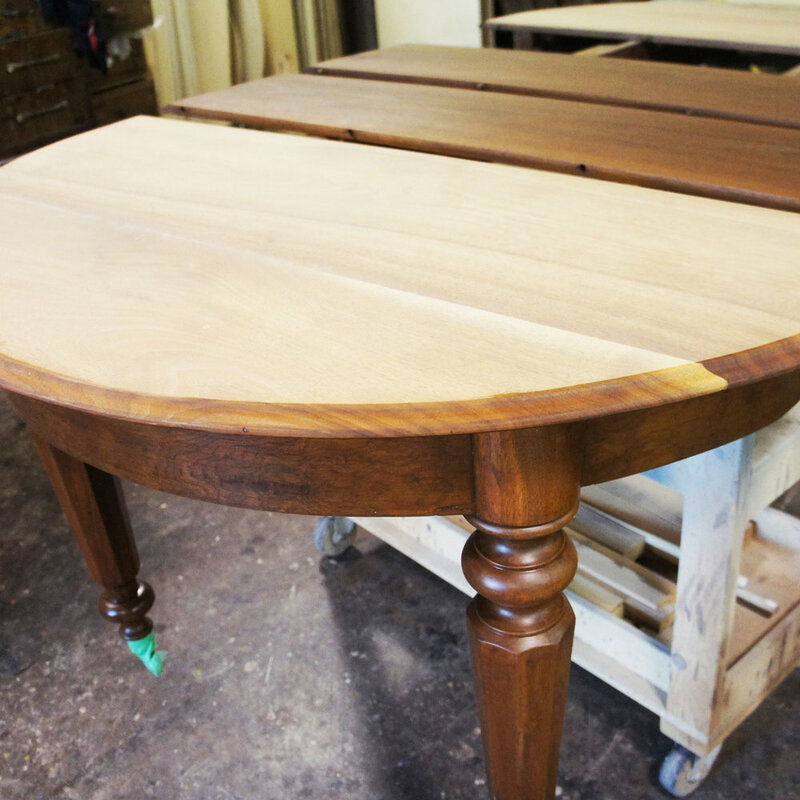 These can be minimized or eliminated through our refinishing processes – all hand done by our skilled craftspeople.